Ting-Li Lin was born in Taiwan in 1976. He expressed interest in music at a very young age and began to study piano at age of 7 and violin at age of 9. He attended a music specialty school until 7th grade. After that, his parents urged him to focus more on the academics. He was then admitted to the Taipei Municipal Chien Kuo High School, yet he kept playing violin and studying with Ms. Yiu-Yuan Chen through high school and college. While in college, he was a member of Physicians’ Chamber Orchestra of Taiwan and the Taipei Civic Symphony Orchestra. Ting-Li majored in physical therapy at the National Taiwan University. Although he worked as a physical therapist for a short period of time after graduation in 2000, he was determined to study abroad and explore different fields of study. In 2001, he was admitted to the Human Factors program in the Department of Industrial Engineering at the University of Wisconsin-Madison. In the second year of the graduate school, he also studied violin with Professor Tyrone Greive in the School of Music. In 2003, he decided to change his major to statistics. He then earned his Maser’s and Ph.D. degrees in statistics in 2005 and 2011, respectively. 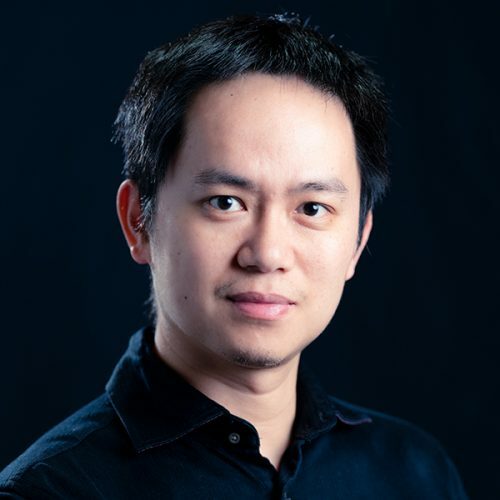 He has been working as a statistician in the pharmaceutical industry since 2012, and he is currently a research scientist at the Frontier Science Foundation, Inc.
Ting-Li’s interest in photography began after his trip to the Yellowstone National Park in 2003. His main subject matters are nature, landscape, and architecture. He expressed his art with contrast, texture, form, color, and illusion. He won the First Prize of the Ansel Adams Gallery National Park Photo Contest in 2009 and was awarded several Honorable Mentions in the International Photo Awards in 2016 and 2017. In 2015, Ting-Li and his friend Max Chen founded a photography and video production studio, Snowforest. As the business develops, his interest in filmmaking and video production grows. In 2017, he made his first documentary film, AJ CARR, which was selected as the Official Selections by the Hollywood International Independent Documentary Awards and the Beloit International Film Festival. Curling has become part of Ting-Li’s life since 2001. While he missed an opportunity to represent Taiwan in the Asian Winter Games in 2003, he joined the national team in 2008 for the first time. He took a break from curling between 2010 and 2013 and rejoined the team in 2014. The 2016-2017 season was marked as his and the team’s high point as the team reached top 4 for the first time in history in the Pacific-Asia Curling Championships and again in the 2017 Sapporo Asian Winter Games. In 2018, he was appointed as the Deputy Director of International Affairs by the Chinese Taipei Curling Federation. Beginning the 2018-2019 season, he took on coaching duties for Taiwan’s junior men’s team and mixed doubles team. Ting-Li currently lives in Madison, WI, United States, with his wife and three children.